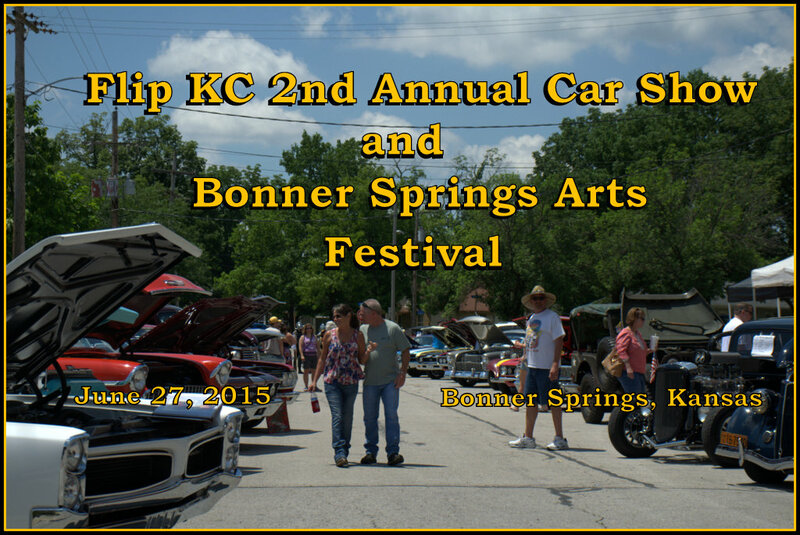 The 2nd Annual Flip KC Car Show and Bonner Springs Art Festival was held in Historic Downtown Bonner Springs, Kansas, on June 27, 2015. The Car Show was held to raise funds for VFW Post 6401. Approximately 40 Antique Cars, Hot Rods and Muscle Cars were on display. 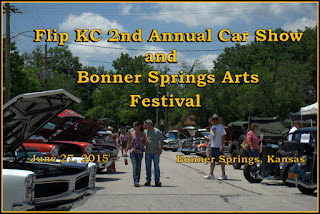 Along with the car show was the Bonner Springs Art Festival. With blue skies and temperatures in the upper 70's and low 80's ,everyone at the event had a great time. Click here to view photos of the event.